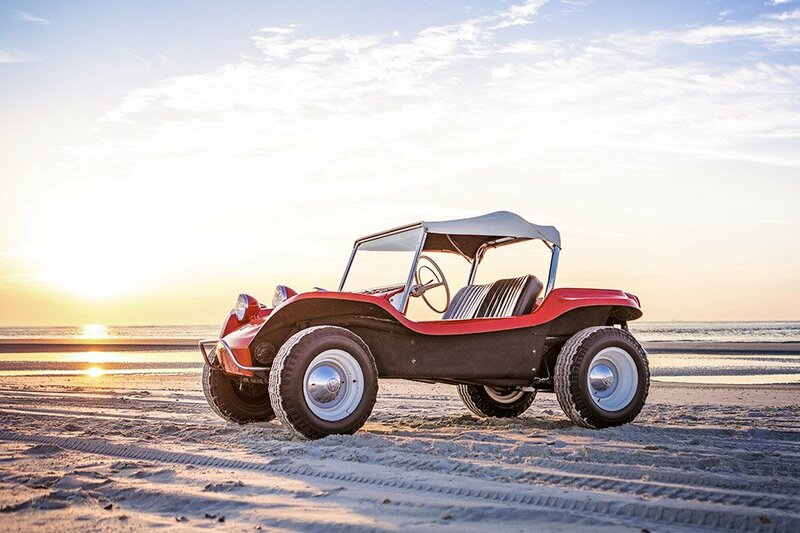 In 1964, Bruce Meyers created the world’s first fiberglass dune buggy: the Meyers Manx. Meyers was an engineer and fiberglass boat builder living in Southern California and he built the first model, “Old Red,” in his garage in Newport Beach. Old Red was the first street-legal fiberglass dune buggy based on a custom-built body and frame and using a VW Beetle engine and transmission. The Meyers Manx is also probably the most copied vehicle design in history, with Meyers building 7,000 units at his factory and copiers producing another 250,000. This Car Matters had the chance to visit with the designer of the vehicle, Bruce Meyers, to discuss the car on its 50th anniversary. Meyers shares great stories of what inspired him to create the now iconic vehicle from the finishing of the fiberglass shell to the reason why the car has no side panels. On May 3-4, 2014 in Washington, DC, the Historic Vehicle Association will be recognizing the 1964 Meyers Manx as the next automobile to be recorded under the Secretary of Interior’s Standards for Heritage Documentation.